Dentsu Aegis Network has appointed former TBWA Group APAC’s Singapore chief Edmund Choe (pictured) as chief creative officer of Dentsu Aegis Network Vietnam and Dentsu One Vietnam, effective immediately. The role is newly created and his appointment is part of the network’s commitment to continually upgrade its creative capabilities, and further strengthen the creative agency’s reputation in the region. Based in Vietnam, Choe will play an integral role in elevating Dentsu Aegis Network and Dentsu One Vietnam’s creative profiles, leading a team to produce innovative creative solutions for brands and businesses. 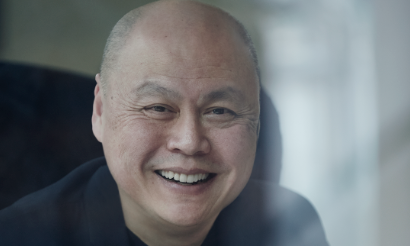 In his new role, Choe will report to Sanjay Bhasin, CEO Dentsu Aegis Network Indochina, and Hideo Katakura, VP Dentsu Aegis Network Vietnam and CEO Dentsu One Vietnam. Choe brings with him over 30 years of experience, beginning at Saatchi & Saatchi Asia where he has held creative leadership roles in Singapore, Malaysia and Indonesia. He last held the role as CCO Singapore and ECD of markets such as Indonesia and Vietnam, with TBWA Group. He took a career break in 2017. Choe was formerly CCO for Greater China with TBWA, overseeing offices in Beijing, Shanghai, Guangzhou and Hong Kong. Prior to that, he was TBWAChina’s head of creative and co-president. Some of the clients he worked with include adidas, McDonald’s, General Electric and AIA. “Choe’s vast experience across the region will help move people and business for clients in Vietnam. Beyond his impressive track record as a creative, he is also a great leader who believes in the power of a team. He is visionary and an innovator – adequately embodying the values of our network. I am delighted to have him onboard and see him take our creative teams and expertise to new heights,” Bhasin said. “Choe is a leader, a thinker, a craftsman, a mentor of legendary proportions. Only his list of achievements is longer than the shadow he casts on the advertising landscape,” Ted Lim, chief creative officer Dentsu Brand Agencies Asia Pacific said. “Dentsu Aegis Network has seen transformational growth over the years and I’m very excited to be a part of this journey. The agency’s collaborative culture is a catalyst to creating great work and building brands. As a market, Vietnam presents itself as young and dynamic, with huge commercial opportunity for brands. I’m looking forward to meeting the team and working closely with them to produce great, meaningful work,” Choe said. Hong Kong-based public relations agency Across Asia will benefit from the T12M’s resources of financial modelling, growth strategy..
Loo has replaced Adam Charles, who has left the role after six years with Jack Morton China. ..
iProperty's Catherine So joins Groupon as managing director of Hong Kong. ..
Vivian Yong has been promoted to executive creative director, partnering with the office’s current ECD Ian Toombs as a creative le..